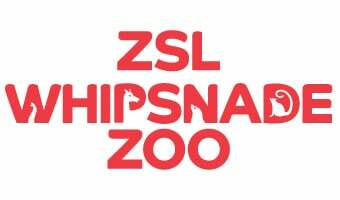 Booking your school visit to ZSL Whipsnade Zoo has never been easier! Should you simply wish to book entry to the zoo, then please book these using the options below. The easiest way to book your school trip is online. Booking online is only for self-guided visits. If you would like to book education sessions, please contact us by phone (above). Reserving online is only for self-guided visits. If you would like to book education sessions, please contact us by phone (above). This option will not take payment, you will need to pay for your visit when you arrive. Once a booking has been made, we will send you a letter confirming the time and location of your education session. Please bring this with you. Bookings only available for UK schools: Mon-Fri term time only. Bookings available for UK and international schools, exclusively Mon-Fri during UK school term time only. If your class is visiting outside of UK term time you may be eligible to book with our groups discount. Visit www.zsl.org/groups for more information. Bookings must be made in advance for classes to be eligible for the discounted rates. Payment should be made at least two weeks in advance of your visit and can be made by card, cheque, or BACS. If paying on the day, payment can be made by card, cheque, or cash at the zoo entrance. If payment is not received by the date of your visit, or paid on the day, an invoice with a £25 administrative fee will be generated and sent to the school. Education groups must make a single payment for their visit. When a school has multiple visit dates, payment will be taken on the date of the last visit, or a single invoice raised for all visits. If payment is not received by the date of visit, or paid on the day, an invoice with a £25 administrative fee will be raised. Alters the date of an education session within two weeks of their visit, charged per session. Cancels an education session within two weeks of their visit, charged per session. Cancels a self-guided visit within two weeks of their visit. Does not show for their education session. Education prices cannot be used in conjunction with any other offer, promotion, discounts or third party payment methods. Membership cards can be used, but child members will not count towards the free adult ratio for supervision purposes. Once a booking has been made one teacher per class will be automatically allocated free admission to plan their trip- simply bring your booking confirmation with you when you visit. Last entry to the Zoo is one hour before the Zoo closes. Information about the content of your educational activity, pre-visit information, maps and worksheets are all available online. Make sure you check out our pre-visit checklist. While enjoying all the sights and sounds of the wide open spaces of ZSL Whipsnade Zoo, take some time to get hands-on and engage all your senses with our new Discovery Box. Take your school group on a ride on one of our two impressive steam engines, Excelsior and Superior, as they weave their way through the territories of some of the world's most inspiring animals. School groups of at least 40 pupils must pre-order by phone. Groups of less than 40 pupils must purchase tickets from the ticket booth at the platform. Find out more. Please note: If you alter the date, education session or cancel a visit ZSL reserves the right to charge an administration fee of £25.